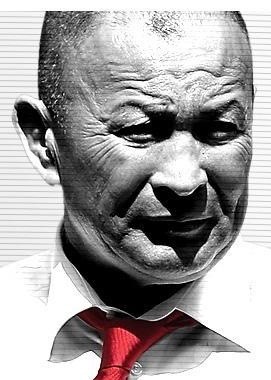 TOTAL FLANKER...a rugby blog: England Rugby - If not Eddie, then who? Enough has been written elsewhere about where the England rugby team finds itself after a sixth consecutive defeat. When the team was winning it was easy to ignore the selection foibles, the training methods, the injuries in camp and the brash utterances of the Head Coach. After all, Eddie knew best. Now that England are unable to buy a victory all of these issues bubble to the surface and Jones and his team find themselves in an incredibly uncomfortable place. The ridiculous talk of “greatness”, of being no.1 in the world, of winning the World Cup are all now a distant memory and discord appears rampant throughout the set up. Win or lose, the third test in Cape Town is almost an irrelevance – England will return to these shores in crisis, there is no other way to describe it. The problem facing the RFU is that they have little choice but to stick rather than twist. After all, with the World Cup on the near horizon, if not Eddie then who?